My youngest daughter enjoys crafts and one of them is to make bracelets out of strings. 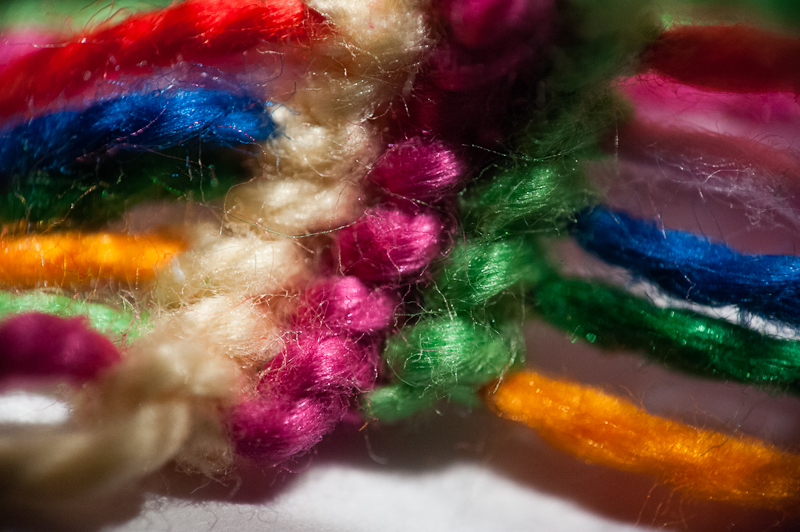 Here is a close up shot of the knots used to make one of these bracelets. I’m amazed at how quickly she can make a bracelet with only a few pieces of string and her talent.